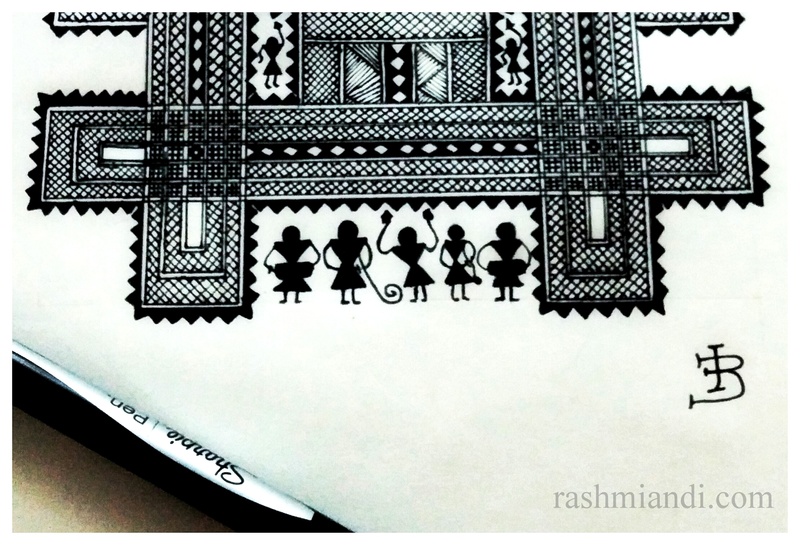 Introduction: Accidentally I tumbled upon this beautiful folk art from my birth state in India.When I learnt more about the art form I realized the intricate and the amount of patience the Deewaru women put, in creating this Art. I have had a keen interest in knowing the history of different art forms from different parts of India and this interest of mine, made me dig more into Chittara art. 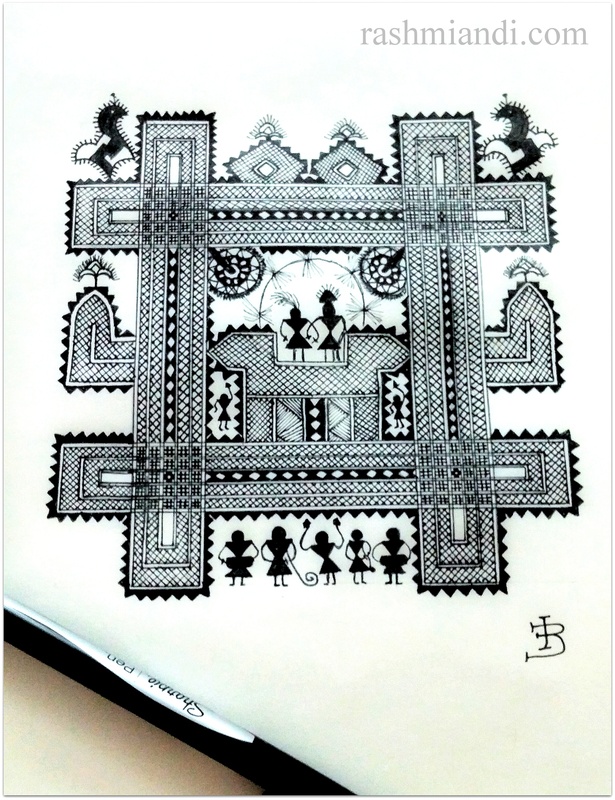 My take on Hasegode Chittara Painting: I took five hours to complete and I used Sharpie fine tip pen. In this post I have attempted to paint the traditional Hasegode chittara painting. Hasegode depicts the wedding hall with elaborate details of the mantap (the wedding altar), guests, the couple and musicians.In the center is the sacred place (altar) where the bride and the groom are seated. The entire community, which is invited to witness the wedding, blesses the couple. More information on Chittara Folk Art: Deep in the villages of Hasunvanthe, Honnemaradu and Majina Kaanu (in Shimoga district of South Kanara) in the Western Ghats lives a small tribe, called Deewaru. People of this tribal community have a beautiful art called Chittara, which adorns the walls of their huts. Traditionally Deewaru women painted the mud walls of their huts on special occasions such as weddings, festivals and auspicious days. 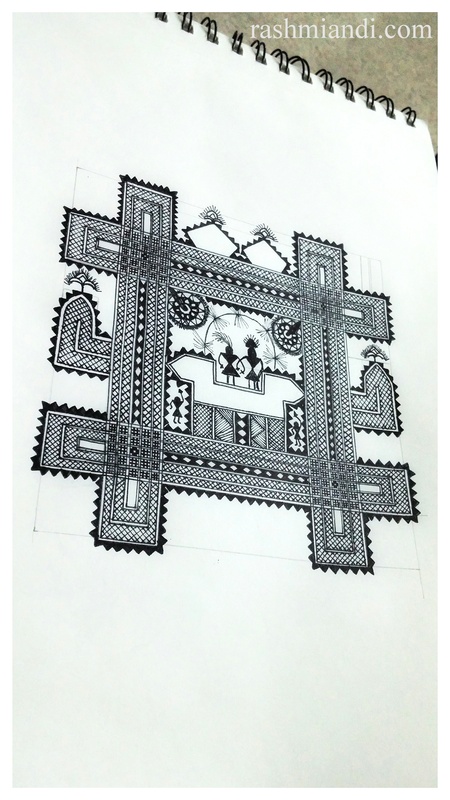 The Motifs mostly used in Chittara painting are very geometric and mainly lines. The art forms represent the daily their village life and various ceremonies, etc. The colors used for painting were traditionally made from natural materials.White was made from rice, red from red mud, black from burnt rice, and yellow from seeds of Gurige tree that grows in the surrounding jungles. Brushes are made of fine jute from fibers of Pundi plant.